A music video for That’s Kentucky, the latest chart-topping single from Lorraine Jordan & Carolina Road’s self-titled album from Pinecastle Records will be unveiled this week on the band’s YouTube page. The single is number one on Bluegrass Today’s Weekly Airplay Chart for the third consecutive week, and it also debuted at number one on Bluegrass Today’s Monthly Airplay Chart. We’re so happy to release the music video for “That’s Kentucky today. Thank you to all of our fans and the DJs that helped make “That’s Kentucky” number one for the third week in a row. Also, thank you to Tom T., Miss Dixie and Troy Engle for writing such a great song that we are proud to sing. We are so blessed to have the opportunity to record it for our latest album from Pinecastle, our new label – Lorraine Jordan. One of the hardest working bands in bluegrass music today, Lorraine Jordan & Carolina Road averages 60 bluegrass festivals in the U.S. and Canada annually along with headlining the Bluegrass Cruise and hosting the Canadian Bluegrass Awards, Christmas in the Smokies Bluegrass Festival and Bluegrass in Cherokee. The band is comprised of Lorraine Jordan on mandolin, Tommy Long on guitar, Josh Goforth on fiddle, Ben Green on banjo, and John Bradley on bass. Lorraine Jordan & Carolina Road’s highly anticipated, self-titled album from Pinecastle Records was released on 10th September, 2013 and has been topping bluegrass and gospel charts ever since. This 12-song release finds Carolina Road returning to their homegrown style of music with hard-driving, traditional bluegrass instrumentation and heart-warming vocals made famous by the band. 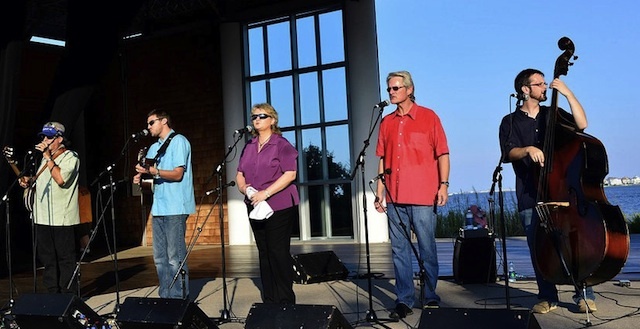 For more on Lorraine Jordan & Carolina Road, visit CarolinaRoadBand.com.